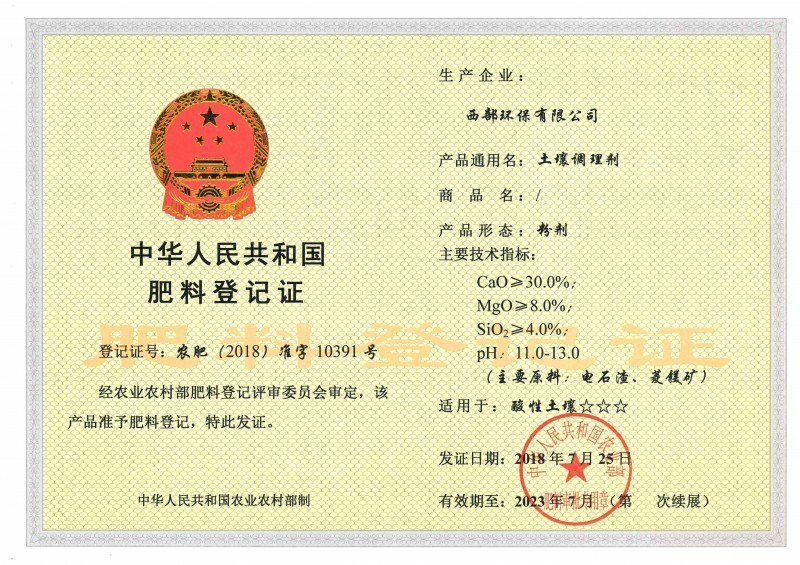 Western Environmental Protection Co., Ltd, a subsidiary of HongDa XingYe Group Co., Ltd (known as HDXY with Stock Code 002002), just registered at the Ministry of Agriculture for its acid soil conditioners, a fertilizer-related product licensed by the Chinese official with the register No 2018-10391. With the strong support of Guangdong Institute of World Soil Resources, Western Environmental Protection has made great efforts doing field experiments to test the efficacy of its fertilizers in the southern province of Guangdong since 2015. For three consecutive years, the firm’s reports and academic presentations have reviewed by and satisfied experts from the Ministry of Agriculture, thus the firm got a temporary license. In July 2018, the firm was finally officially accredited to produce conditioners for acid soil. Being officially accredited not only consolidates the firm’s status in the industry of soil improvement, but also improves the competitiveness of its products for environmental protection. In the future, Western Environmental Protection will continue its co-operation with the Institute of World Soil Resources in the improvement of dysfunctioned soils and in the development of new products, making breakthroughs in the field of environmental protection. Its efforts will also be a reflection of the “comprehensive innovation”, a concept proposed by HDXY for the creation of new techniques, new products, new services and new management.